The “Lituanica” on a test flight over New York. 75 years after a still-unexplained crash killed the two Lithuanian flyers who were trying to establish a new record in aviation history, the cause of the crash and their death continues to be a mystery. JULY 15-17, 2008 MARKS THE 75TH ANNI- versary of the first United States-Lithuania Transatlantic non-stop flight by Stephen Darius and Stanley Girėnas and the mysterious crash of their airplane “Lituanica.” Although a long time has passed since this historic flight and its catastrophic outcome, the mystery surrounding the tragedy still remains unsolved. Throughout the years many articles and books have been written and many theories have been promulgated here in America and elsewhere as to the cause of the crash, but none has given a definitive answer to this dilemma. The most famous photograph of the flyers and their plane. It was used extensively to promote the flight. 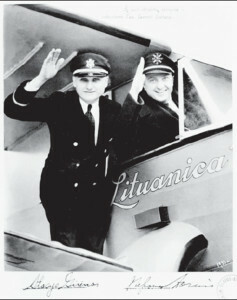 Darius and Girėnas were two American flyers of Lithuanian descent who decided to bring their mother country into the world’s spotlight by being the first Lithuanians to fly nonstop in a single-engine plane from the United States to Lithuania. Crossing the Atlantic in 1933 was not a daily occurrence. Six or seven other flyers had done it earlier, including Charles Lindbergh. But no one had flown such a distance across the Atlantic and across Europe as the two Lithuanians intended to do. The two airmen, and particularly Stephen Darius, were fascinating characters. Both were born in Lithuania when it was still part of the Czarist Empire, and as children emigrated with their families to the United States before the turn of the 20th century. During their high school years in Chicago, both excelled in sports, especially football, basketball and boxing. They both served in the U.S. armed forces during World War I. Girėnas was stationed on U.S. territory, while Darius fought in the European Campaign. He was gassed and wounded in France and received a decoration for bravery in addition to a purple heart. After the war, Stephen Darius, whose Lithuanian variant of his first name was Steponas, went back to Lithuania as a volunteer in 1920, and fought against the Bolsheviks during Lithuania’s wars for independence. There he graduated from military aviation school with the rank of junior lieutenant and served in the fledgling Lithuanian Air Force until 1927, attaining the rank of captain. When he arrived in Lithuania, Darius brought with him two sports that were almost unknown in that country: baseball and basketball. In order to popularize these sports, he wrote and published rules and regulations in the Lithuanian language about playing them. He also formed teams and organized tournaments to play national and foreign teams. While baseball did not catch on among the local population, basketball became a national sport. This was evident when Lithuania won the European basketball championships in 1937, 1939, and 2003; at the 1988 Olympic Games in Seoul, South Korea where Lithuanians playing for the Soviet team defeated the Americans and won the gold medal; and at the 1992, 1996, and 2000 Olympic Games where Lithuanians, playing this time for their own country, became bronze medalists. Under Darius’ initiative and according to his blueprints, the first sports stadium was built in Lithuania. During his stay in Lithuania Darius married and fathered a daughter. 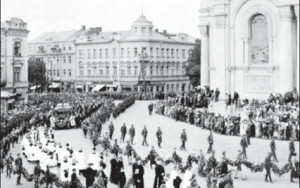 In 1927, frustrated by the bureaucracy and disorganization within the Lithuanian military, he asked for a leave of absence from the Air Force to return to the U.S. in order to visit relatives. The idea of flying nonstop from the U.S. to Lithuania germinated in Darius’ mind when he was still in Lithuania. While returning to the U.S. from Lithuania, he made a stopover in France to see Lindbergh’s arrival at the Paris Airport after completing his historic flight across the Atlantic. The sight of this event gave Darius additional boost and encouragement to pursue his own mission. Upon returning to the U.S., Darius embarked on a series of ventures, not all successful. His primary goal was to obtain employment as a pilot, earn enough money to purchase his own airplane, and eventually realize his transatlantic dream. Times in the U.S. were hard, the Great Depression was sweeping the country, and unemployment was enormous. Jobs, even for experienced flyers, were difficult to find. Darius kept in touch with his Lithuanian aviation buddies, and often, for a small commission, acted as purchasing agent for weapons and aircraft parts for the Lithuanian military. He later asked to be retired from military service and obtained a transport pilot’s license. Darius started his first job in the U.S. as an airplane salesman for the Eaglerock Aircraft Co. of Colorado. But his first sale went sour when the plane he was flying to Chicago from the Colorado factory crash-landed in the mountains. Darius was unhurt. Later, his sister living in Chicago loaned him money to purchase his own plane. The image of the flyers next to their airplane appeared everywhere, even on tin lunch boxes. Darius participated in air races, gave flying lessons, and for a while worked for a flying orchestra which went bankrupt. He also delivered mail and newspapers to remote areas, founded an air club whose only plane was crashed by two of its members, and together with a partner started an aircraft maintenance and repair, and hangar leasing business in South Bend, Indiana. Shortly after they had built a new hangar, it burned to the ground. After a year or so of terribly slow business, the company collapsed and the partners separated. While all this was happening, Darius’ transatlantic idea was taking shape in his mind. Early in 1932 he met a compatriot, another flyer whose original Lithuanian name had been Stasys Girskis but who had changed it to Stanley Girch. Darius proposed his idea of flying to Lithuania to Girch, and asked him to be his co-pilot. He also convinced him to change his name to a more Lithuaniansounding one – Girėnas. Girch liked the idea and both men agreed to go ahead. The planned flight path of “Lituanica” from New York to Kaunas, and the crash site in an East German forest. By pooling their resources and with help from their families, they purchased a secondhand Bellanca CH-300 Pacemaker airplane from Pal-Waukee Airport on the outskirts of Chicago, and presented their idea to the Lithuanian American community. The reaction of the Lithuanian press and public, with a few exceptions, was mostly favorable. 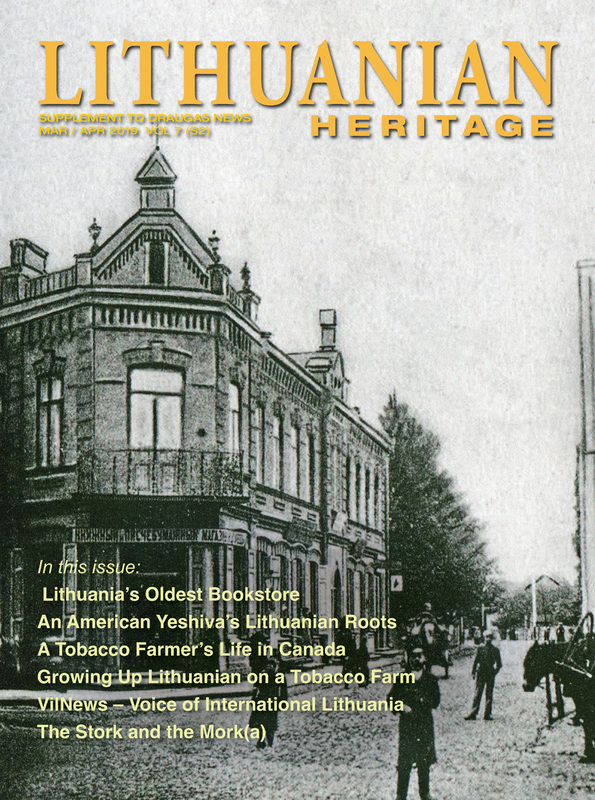 Transatlantic flight committees, sponsored by members of the Lithuanian diplomatic corps in the U.S., were formed in cities that had sizeable Lithuanian communities to publicize the flight and raise funds. The plane had to be rebuilt and refitted for such a flight, and that would involve a great amount of money. Every imaginable fundraising idea, including air shows, boxing matches, banquets, dances, raffles, picnics, air rides and parachute jumps was tried. 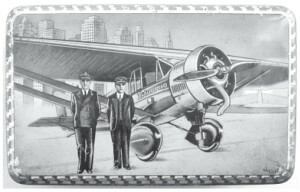 Among some of the more creative and successful ideas were the painting of the names of sizeable donors on the plane’s fuselage, the overprinting of Lithuanian postage stamps for philatelic collectors, commemorative lapel pins in the shape of an airplane, commemorative envelopes, autographed photographs of the flyers standing next to their plane, and the carrying of the first Air Mail from the U.S. to Lithuania. Money came in, but very slowly. Times were difficult, and most supporters could afford a donation of a dollar or two, or perhaps only a few cents. Work on the plane was done and instruments were purchased and installed as funds became available. Although both Darius and Girėnas were experienced flyers with many hours of flying time, they continued to study and improve themselves in the aviation arts. 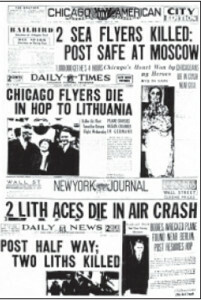 Newspapers across America reported the crash on their front pages. They kept up on the latest navigation techniques, new instruments, up to date information on air currents, regulations, anything they thought might be useful during their flight across the Atlantic. Darius was a very likeable, meticulous, organized and detailminded individual. His partner Girėnas was just as experienced and professional, although perhaps less charismatic. In early 1933, the flyers took their plane to Floyd Bennett Field in New York, where final adjustments and tests were made. They planned to take off in May or early June. Shortage of funds and complications trying to obtain a permit for their flight from the U.S. Department of Commerce delayed the departure date. 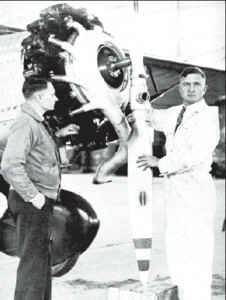 Finally, in the early hours of July 15, the two flyers took off an hour and a half after Wiley Post had departed from the same field on his “round-the-world” flight. The modified airplane, which a few months earlier had been christened “Lituanica” during a ceremony held at the Municipal Airfield (now Midway Airport) in Chicago, was fitted with all the necessary instruments for a transatlantic flight, minus a radio. Controversy about the lack of a radio on the airplane has been floating around since the days of the flight. Some speculated that the flyers decided not to take a radio so as not to add extra weight to an already overloaded plane. Or that one was not needed, since most of the flying would be done over water anyway, where a radio would have been of little use. Others said that the flyers just ran out of money to buy one. More than enough gasoline and oil was loaded into tanks fitted in modified oversized wings and in the cockpit behind the seats of the flyers. A brand new engine and propeller were also purchased and installed. Hundreds of tests were done on the engine and the entire airplane for months. Everything seemed to be shipshape. 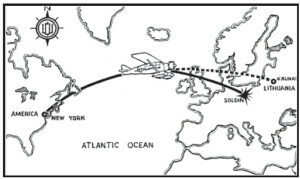 The stretch across the Atlantic between New York and Germany was accomplished according to the flyers’ plans. No reason to suspect otherwise. But during the stormy night of July 17, “Lituanica” crashed in a forest near the town of Soldin, in German Pomerania (now Poland), 700 miles short of its destination – the airport of Kaunas, killing both flyers. 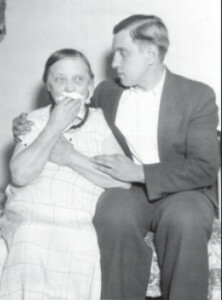 Stanley Girėnas’ mother is being comforted by his brother. Up until this day a mystery remains as to what happened that night to cause “Lituanica” to crash. It is a known fact that the weather in that part of Germany was stormy, the night was very dark, and no guiding lights were in sight. But both flyers were experienced pilots, had enough fuel, and the plane was in top-notch condition and equipped with all types of instruments. Even so, the plane seems to have made a turn, proceed in a different direction, and finally crash in the forest below. There have been many theories as to the reason for the accident, most of them discarded as unfounded. One theory that refuses to die is the one blaming the Nazis for the accident. Supposedly, to avoid bad weather, the flyers changed course and ended up in a restricted zone above a Nazi concentration camp. German artillery or machine guns shot the plane down. There was even speculation that the Germans used a secret ray gun to do it. As soon as news of the tragedy reached Lithuania, the government sent investigators to the crash site. But by the time they arrived, some airplane parts had already been removed from the site by souvenir hunters or perhaps even by Nazi officials. Even though many Lithuanians subscribed to the theory of shooting by Nazis, the Lithuanian government was not ready to accept it. Lithuania was a relatively small, defenseless country next to a large menacing Germany, and reprisals could be forthcoming. 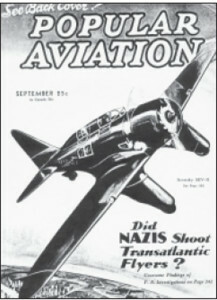 Speculations about the shooting of the plane by Nazis appeared soon after the accident. An interesting situation related to this event occurred fairly recently, which may or may not help solve this mystery. 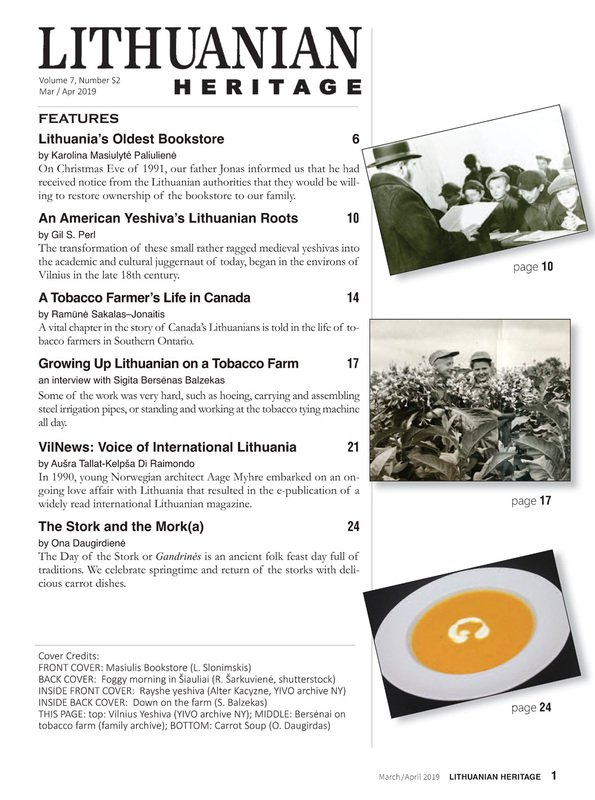 In the early 70s, the late Catherine Stulpin, one of Darius’ sisters living in Chicago, donated some of her brother’s personal possessions and archives to the Balzekas Museum of Lithuanian Culture, located in Chicago. 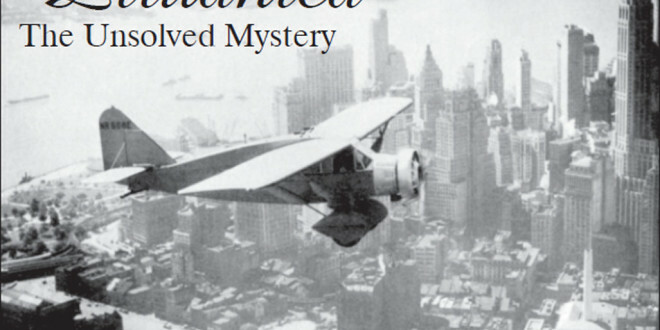 The archives, which contain most of Darius’ personal, military, and business correspondence and documents from 1920 to 1933, as well as letters and documents related to the flight, may help to shed some light on this mystery. In this collection are documents about the purchase and conversion of the airplane; invoices for parts, instruments, gasoline and oil; charts, maps, handwritten notes, specifications, statistics, approximately 2,000 pieces in all. Also personal and business letters between Darius, Girėnas, suppliers, fundraisers, fans, donors, diplomats, Lithuanian military officials, U.S. Department of Commerce and other government officials. The last time this material had been seen was in 1935 when a close friend of the flyers did research while writing a book about them and their flight. From that time on, the material was stored in a locked chest, first at the sister’s house, and later at the Balzekas Museum. Both flyers, and especially Darius, were fascinating characters. Darius was the all-American boy of immigrant parents who excelled in sports, fought in World War I, fought the Bolsheviks during Lenin’s time, served in the Lithuanian Air Force, married (and I think divorced or deserted his young wife), and returned to the U.S. to pursue his dream of crossing the mighty Atlantic. Here in the U.S., he fought all odds to make a living as a pilot. As a result of being gassed during the war, he became ill with TB, but licked the disease. Flew all sorts of airplanes around the country at the time when aviation was in its infancy and it was very romantic and adventuresome to be a flyer. He had innumerable fans, admirers and friends, including lady friends. A sort of Lithuanian Indiana Jones. And all this during a most interesting period in history: World War I, Russia during the 1920s, Nazi Germany before World War II, early aviation, the U.S. during the Depression, Prohibition, etc. It’s a real-life story, not fiction. All Lithuania turned out for the funeral of the flyers in Kaunas. In 1993, on the 60th anniversary of the flight, the Balzekas Museum mounted a special exhibition commemorating the event, where much of this material was shown. But as far as it is known, the material has never been studied or researched by historians, or anyone else. When it is, perhaps it will help solve the mystery surrounding this tragedy. If not, at least it could disclose some previously unknown facts and details about the flight and the two flyers. 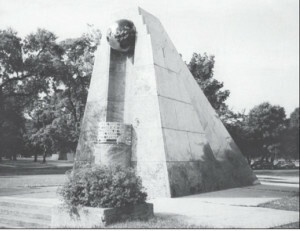 Grateful Lithuanian Americans erected a monument in their memory in Chicago’s Marquette Park. 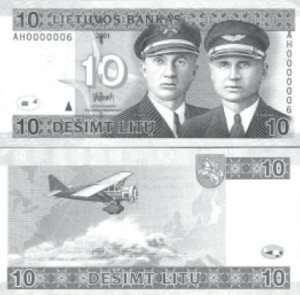 The portraits of the two flyers and their airplane appear on the 10-litas banknote. 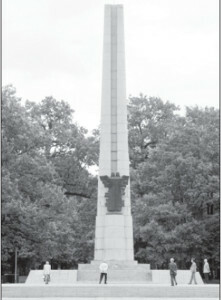 A magnificent memorial in honor of Darius and Girėnas was installed in Kaunas’ Ažuolynas Park in 1993.